SAFF was great as always. 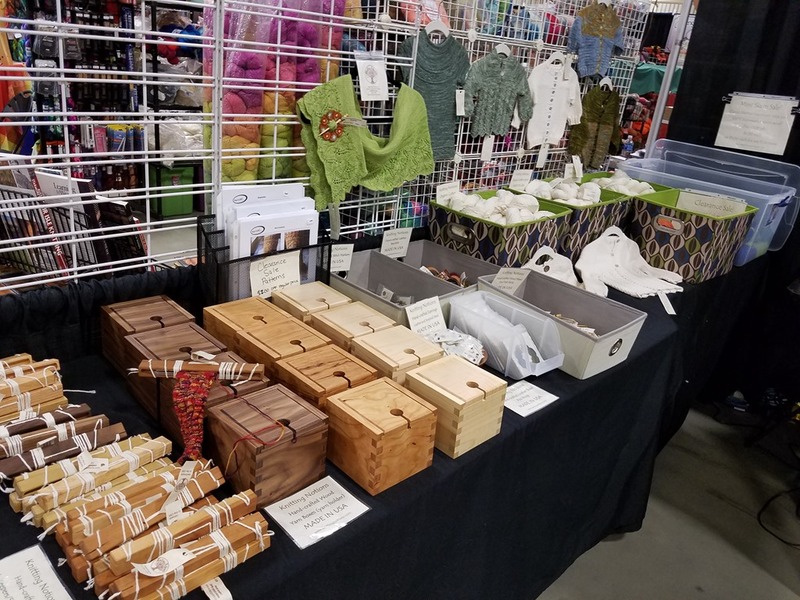 I won’t bore you with a bunch of booth pictures but I will post just this one of the new Cherry and Walnut Yarn Boxes. They went over very well. 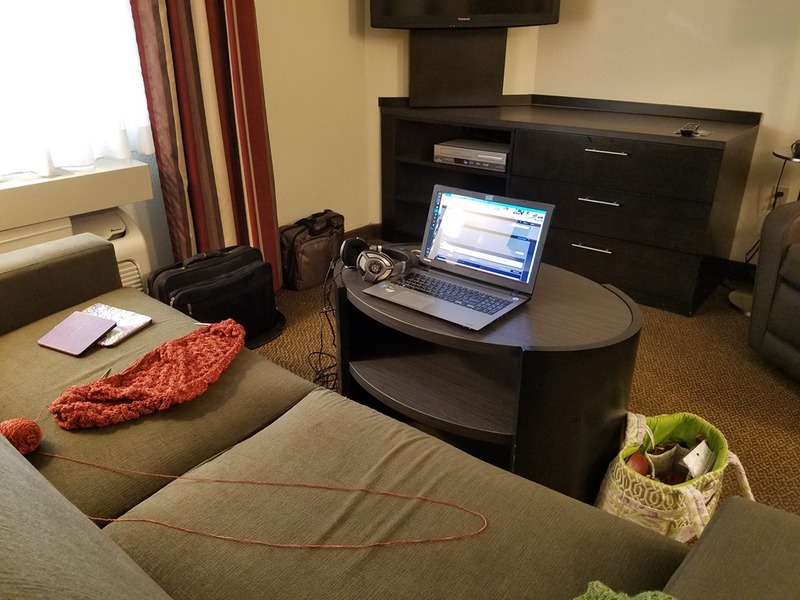 I spent Monday and Tuesday driving up to Minneapolis, MN for the Vogue Knitting Live in Minneapolis show. I stayed the first night in Merrillville, IN which is close to where Meredith and Luke live now and I was happy to get to visit with them a few hours that night. I stupidly didn’t think to take any pictures though. This afternoon I will be setting up my booth. If I don’t get it all done in the time allotted for set up today I will need to go back in tomorrow and finish up. I am hopeful that I have some free time tomorrow however. If I do manage to have most or all of Thursday free I am tempted to go check out the Mall of America since it is pretty close to my hotel. I have a few hours this morning so I plan to get in some knitting and music. 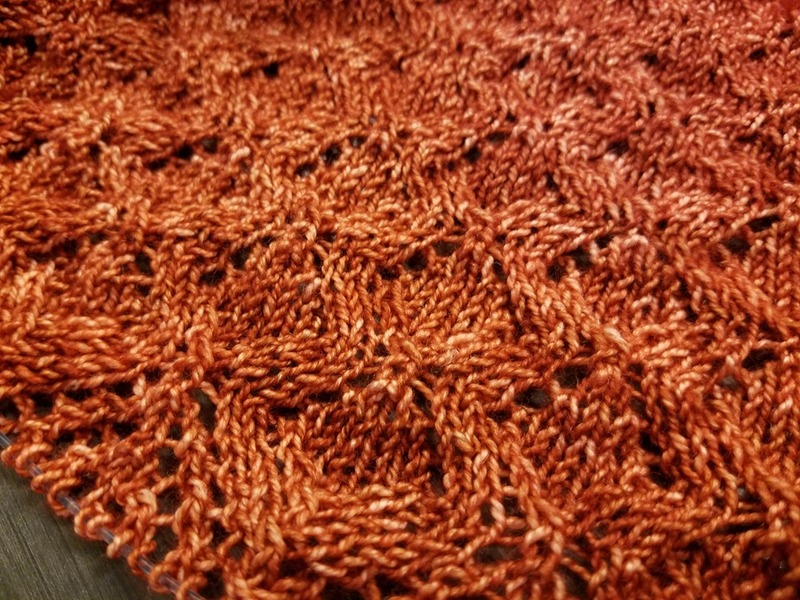 Talise is coming along when I find some time to actually knit on it. 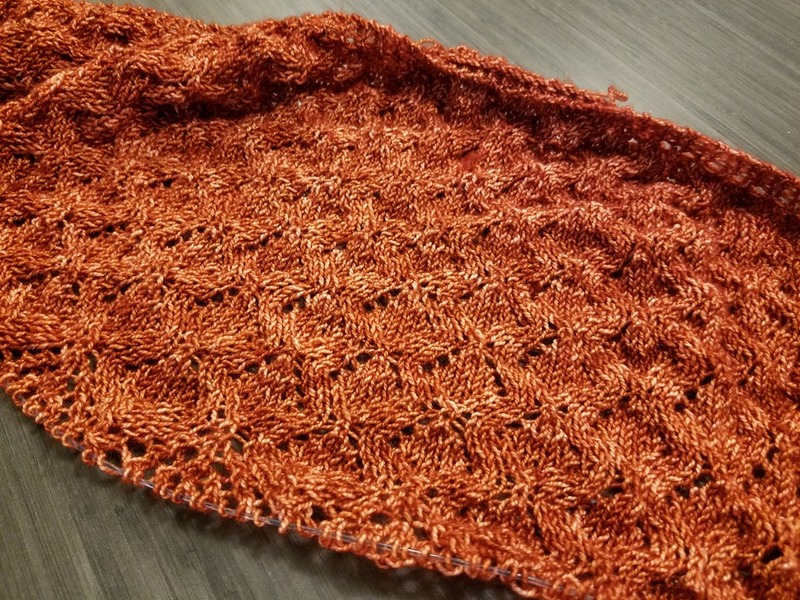 It is a fairly easy and intuitive lace stitch pattern which is great for relaxing to music or an audiobook while only needing periodic reference to the chart. I am on chart 3 at the moment. It is a 14 row chart and I am on the 3rd row. After that is a 4 row chart with 8 repeats of that. I would venture that I am about 70% complete. Okay, that’s all I have time for today. Wish me luck on set up today. Taking a trailer into an urban downtown area can be stressful and anxiety producing.